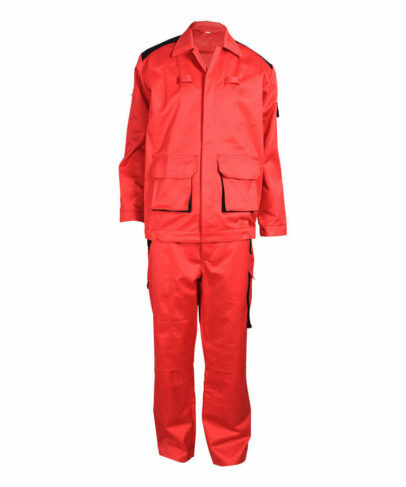 This red and black arc flash two-piece suits made of 320gsm 88% cotton 12% nylon arc flash fabric, and can meet NFPA70E, IEC 61482-1-2, EN ISO 11612, NFPA2112 and other standards. 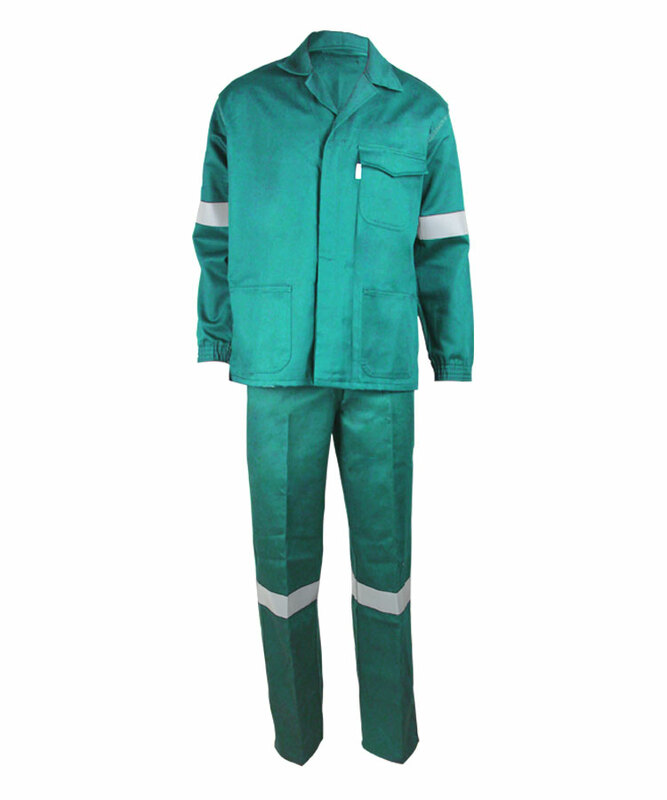 The arc flash two-piece suits can prevent electric spark, electric arc and metal droplets effectively, also can prevent the spreading of flames, has good fire retardant function, quality can meet European standard and American standard requirements, and the property would not lead to failure or deterioration because of washing. 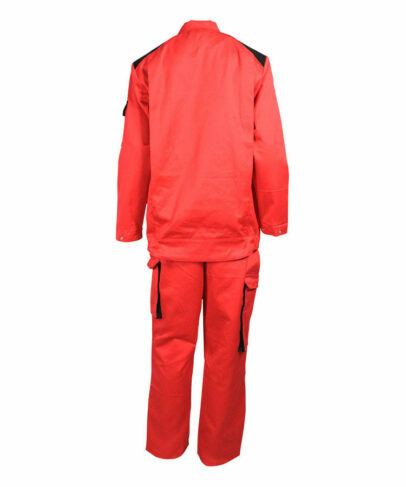 This red and black arc flash jacket front opening closed with double open zipper, zipper extended to the position of tool loops. Zipper covered with placket and closure with prong snap button. 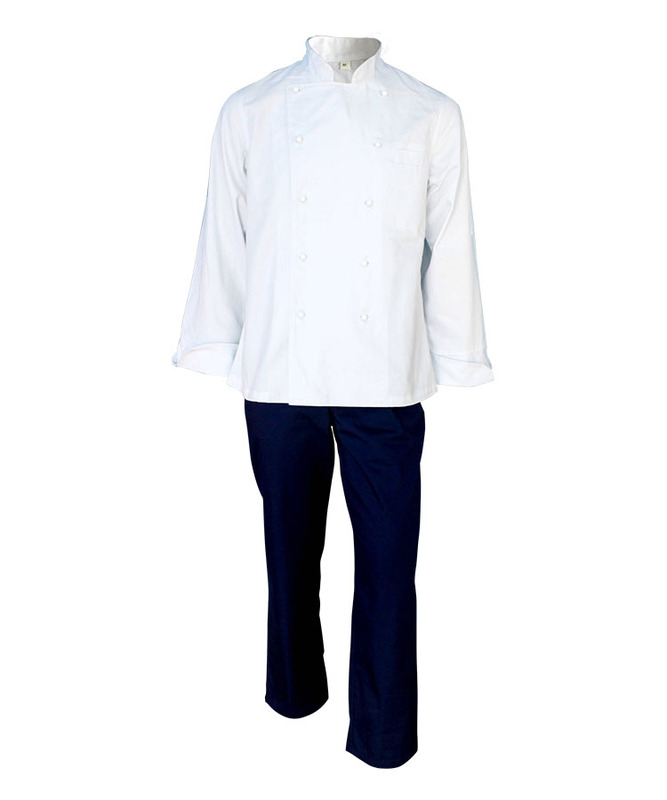 Wearer's left sleeve pocket with contrast color flap, closure with prong snap button. Two bellow pockets with contrast color on the wait, closure with two lines of prong snap buttons which can be used to adjust the size of the pocket flap. 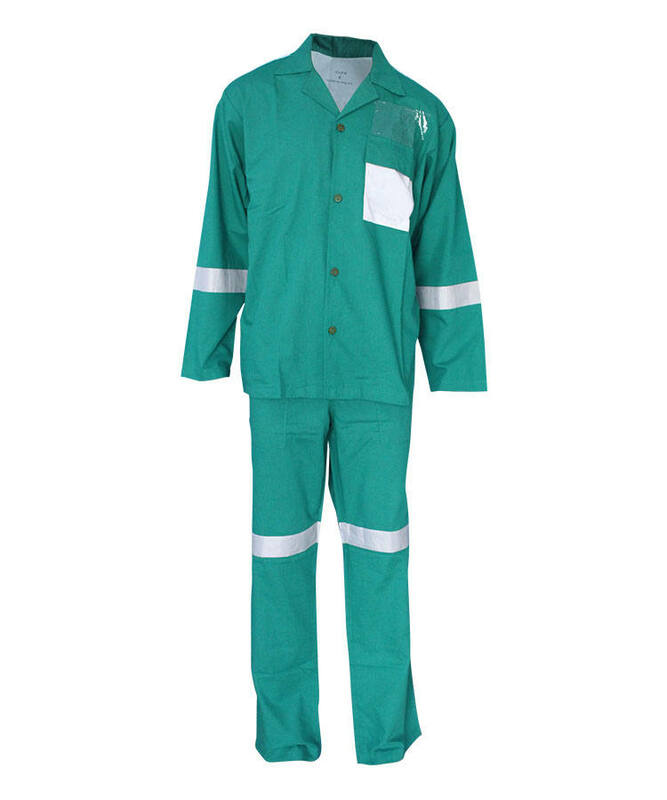 For the arc flash pant, one tool pocket with flap on the wearers’ right back side seam, closure with prong snap buttons. For the arc flash pant, one pocket with flap with contrast color on the left thigh part, closure with prong snap button. Kneecap on the knee part, with flap on the top opening. The knee pad could be put in to protect the knee. One pc tool loop on each side of the chest, can be used to hang the ID card or tools, etc. Double layer fabric for shoulder with contrast color, with rolling strip, which can increase the fastness and abrasion resistance of the shoulder. Shoulder pad pocket inside the shoulder part, closure with Velcro. Can add should pad to protect shoulder. Active back, much comfortable when stretch. Up and down hem, back hem is circular pendulum, snap hook and elastic string inside the hem, can adjust the size of the hem, much suitable. Sleeve cuff closure with prong snap button, can adjust the cuff size. Patch pocket with flap on the wearers’ right hip, double layer for the bottom of the pocket, closure with velcro. Pant with oblique angled crescent pocket, flap with contrast color. Closure with prong snap pocket. This design can prevent the metal fragments dropping into the pocket. Back waist with elastic band, waist is adjustable. 7 loops. 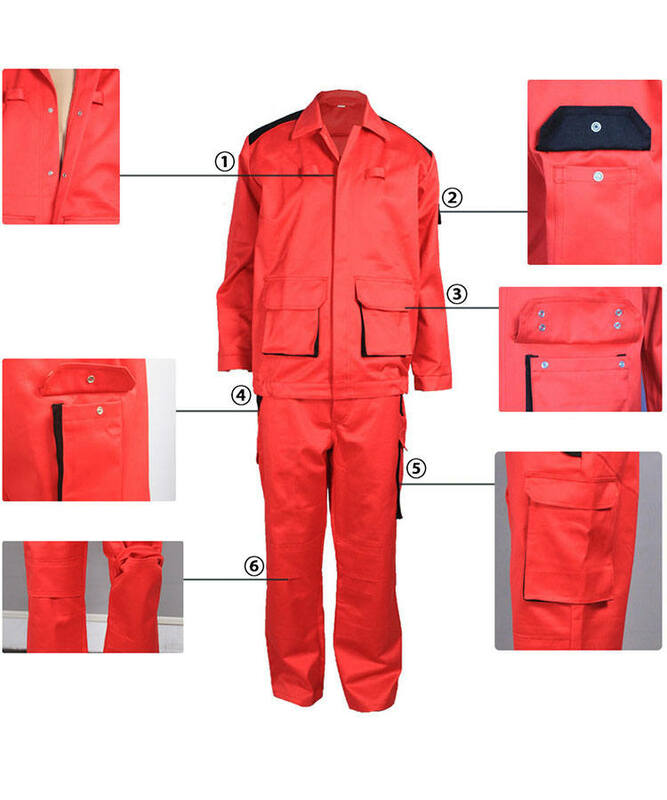 The front opening of the red and black arc flash pants closed with metal zipper, sewing with double visible lines. Waist band closed with four holes button.